This is far from the first time that Classical opera music has been adapted for modern ears, but it is not simply Pagliacci with a disco beat. 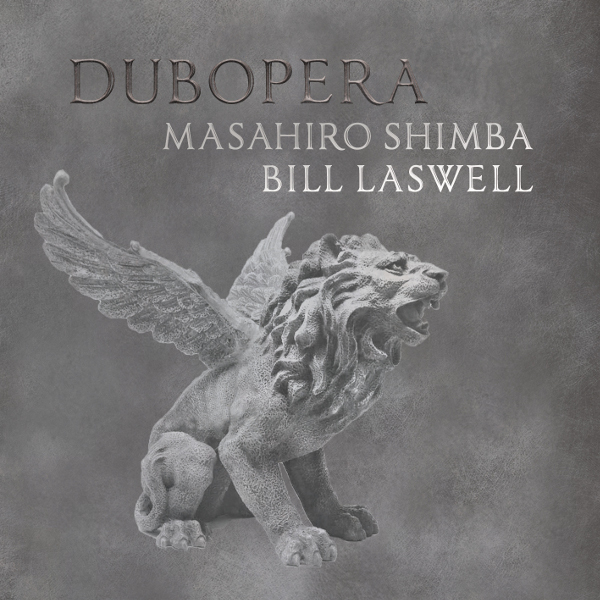 Producer Bill Laswell has teamed up with Japanese tenor Masahiro Shimba and a host of guests to give us some rather eccentric adaptations of well-known operatic pieces. I’m not a huge opera fan, but neither am I a hater, and I’m always intrigued by this kind of cross-genre collaboration. First off the bat is “Nessun Dorma” from Turandot, which starts out with piano and electronic noises before the string section comes in with slow-moving chords and an elegiac mood. Very quietly, some echoed snippets of singing sneak in, then a loping rhythm starts up with a spaced-out dub feeling. Shimba enters for real about three minutes in, backed by strings similar to those at the beginning. As his last notes echo into infinity, squiggly electronics take us into the second half of the piece, kind of a cross between Mwandishi and Sly & Robbie (Sly Dunbar does appear as one of the drummers). This slips smoothly into a piece called “Moon,” the source of which is uncredited, but it sounds like Shimba is singing in Japanese. The dramatic and slow-moving strings, combined with electronics, provide the majority of the backing, and it serves as an interlude before the percussion and drums reappear for an arrangement of “Tonight” from West Side Story. If you’re afraid of some of the tropes of dub music, fear not – there’s not a lot of that kind of choppy editing or reverb-echoes. The melding of different musical styles is fairly seamless: Dubopera is basically a fusing of jazz and electronics with some operatic source material. Long stretches of music go by without any sign of Shimba, but that’s certainly not due to any shortcomings in his voice. It’s powerful without going overboard on the vibrato, and provides a solid focal point when he’s in the mix. Other sources include Bizet’s Pearl Fishers and Leoncavallo’s Pagliacci. It’s an interesting sonic mixture, and to my ear the only detraction is some rather loungey tenor sax – the electronics and the rhythms are very enjoyable.